Electricity is a secondary energy source, which means that electricity is obtained from the conversion of other primary sources of energy, such as coal, natural gas, nuclear, solar, or wind energy. The energy sources used to make electricity can be renewable or non-renewable, but electricity itself is neither renewable or non-renewable. The power plant is the location in which the energy conversions take place. Traditionally, large power plants have been located in sub-urban regions away from cities, as they need a vast area of land and sometimes water. All electricity produced in a power plant is alternating current (AC). The type of electric current found in your home is direct current (DC) British Electricity International (1991). Modern Power Station Practice: incorporating modern power system practice (3rd Edition (12 volume set) ed.) British Electricity International (1991). Modern Power Station Practice: incorporating modern power system practice (3rd Edition (12 volume set) ed.) British Electricity International (1991). Modern Power Station Practice: incorporating modern power system practice (3rd Edition (12 volume set) ed.) British Electricity International (1991). Modern Power Station Practice: incorporating modern power system practice (3rd Edition (12 volume set) ed.) British Electricity International (1991). Modern Power Station Practice: incorporating modern power system practice (3rd Edition (12 volume set) ed.) British Electricity International (1991). Modern Power Station Practice: incorpo rating modern power system practice (3rd Edition (12 volume set) ed.) . 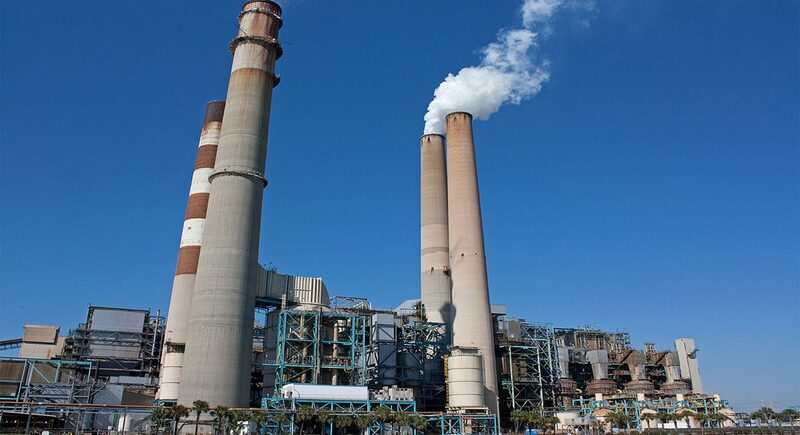 In general, power plants can be divided into two categories - conventional and non-conventional power plants. Hydroelectric power plants: Electricity is produced by building dams on suitable rivers. Wind power plants: The kinetic energy of wind is used to create power. Solar power plants: Generates power by collecting solar radiation. Geothermal power plants: Uses the natural heat found in the deep levels of the earth to generate electricity. Biomass power plants: Natural organic matter is burnt to produce electricity. Each power plant technology has advantages and disadvantages. For example, nuclear power plants provide large quantities of reliable power with low levels of greenhouse gas emissions. Fossil fuel power plants deliver on-demand, consistent and reliable energy when the resources are available. Hydro, solar and wind power plants generate renewable electricity, thereby delivering emissions-free electricity. Mendoza A. and Barrabés R. (2015) "Electric Power Plants"http://www.slideshare.net/ramnbp/electric-power-plants-13190083 Mendoza A. and Barrabés R. (2015) "Electric Power Plants"http://www.slideshare.net/ramnbp/electric-power-plants-13190083 Mendoza A. and Barrabés R. (2015) "Electric Power Plants"http://www.slideshare.net/ramnbp/electric-power-plants-13190083 Mendoza A. and Barrabés R. (2015) "Electric Power Plants"http://www.slideshare.net/ramnbp/electric-power-plants-13190083 Mendoza A. and Barrabés R. (2015) "Electric Power Plants"http://www.slideshare.net/ramnbp/electric-power-plants-13190083 Mendoza A. and Barrabés R. (2015) "Electric Power Plants"http://www.slideshare.net/ramnbp/electric-power-plants-13190083 To find out more about the advantages of disadvantages of each power plant type, visit the respective generation source topic page. Sorry, we do not yet have a video specifically for Power Plants. We are adding new videos to StudentEnergy.org weekly, but in the meantime check out this video on Electricity.